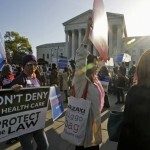 NEW YORK, NY – June 28, 2012 – The Supreme Court’s ruling on Thursday to uphold all parts of The Patient Protections and Affordable Care Act of 2009 was met with celebration and tears from supporters of the Eric De La Cruz Hope For Hearts Foundation. While founder and television journalist Veronica De La Cruz vowed to continue to find heart transplant patients in financial need across the country, the court’s decision promised to ease the suffering she has seen from a first-hand perspective. “This is a remarkably historic day and I am proud to say that my brother Eric’s plight was one of the markers that moved the national conversation in the right direction. He has inspired thousands with his story. My only regret is that he is not here to celebrate alongside me today,” said De La Cruz. The reforms upheld today by the Supreme Court will expand health insurance coverage to 32 million more Americans, provide invaluable assistance of individuals and small businesses seeking to buy insurance, end abusive insurance industry practices such as pre-existing condition denials, and close the Medicare prescription drug coverage doughnut hole. Supporters agree that the Affordable Care Act delivers real progress that is already saving lives and money. Today’s announcement also comes as welcome news for many of the patients and families supported by the Hope For Hearts Foundation, which was formed in memory of Eric De La Cruz to fulfill his wish of ensuring no other heart transplant candidates suffer as he did because of a lack of insurance. If the Affordable Care Act had been in place when Eric was battling for access to adequate health care only to have a much-needed transplant denied by insurance denials, he may still be here today. The Court’s ruling today ruled the individual mandate included in the legislation as constitutional and reaffirmed the right of every American citizen to access to affordable health care. The Hope For Hearts Foundation is committed to helping patients who are in dire need of support while seeking a second chance at life. The judicial victory is far from an end to the debate, however. If Republicans retake the White House and Senate in the November elections, the Supreme Court’s decision may be moot. The entire Affordable Care Act could be repealed, although Republicans have not articulated a specific plan with which to replace it. To date, the GOP platform for health reform has primarily consisted of three main principles: protecting doctors with malpractice reform; allowing insurers to sell questionable coverage across state lines; and forcing consumers to bear even more accountability for health care costs. The Eric De La Cruz Hope For Hearts Foundation is a recognized 501(c)(3) non-profit organization that provides financial assistance to transplant patients in need and offers awareness and education programs aimed at supporting those facing the challenge of obtaining a heart transplant. The Foundation was formed in 2010 by De La Cruz after the death of her younger brother, Eric, who suffered from severe dilated cardiomyopathy and was denied insurance coverage for a heart transplant due to his pre-existing condition. Eric De La Cruz passed away on July 4, 2009 while awaiting a heart transplant. For more information about Eric De La Cruz, please visit at http://www.ericslaw.com/press.html or watch Veronica’s touching interview about him in 2009 on the Morning Show athttp://www.youtube.com/watch?v=5XILMyiw9NI. Those interested in learning more about how to support the Eric De La Cruz Hope For Hearts Foundation and the transplant patients that they assist should visit the organization’s website athttp://www.hopeforheartsfoundation.org. 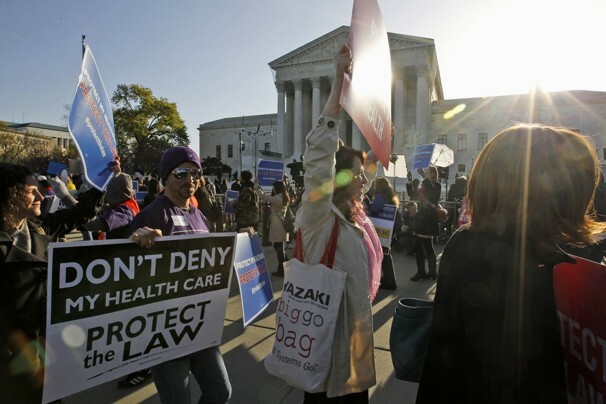 For more information on the Supreme Court’s ruling on the Affordable Care Act, please visit http://www.supremecourt.gov, where you may read the ruling in its entirety, as well as the Court’s dissenting opinion. Veronica De La Cruz is an MSNBC anchor and one of the current hosts of NBC’sEarly Today Show and MSNBC’s First Look. In addition to her role as an MSNBC anchor, De La Cruz is an active volunteer with groups promoting health care reform. Ms. De La Cruz’s full bio is available athttp://www.msnbc.msn.com/id/42131556/ns/msnbc_tv-meet_the_faces_of_msnbc/and two recent MSNBC PSA’s on heart health can be viewed athttp://www.hopeforheartsfoundation.org/Cooking.html andhttp://www.hopeforheartsfoundation.org/Exercise.html.